Palm Garden locates in Viet Hung residential neighborhood, Long Bien district, Hanoi. It has a convenient location which is very quite and clean, near Aeon shopping mall and just 15 minutes away from the city center. Palm Garden contains 94 three-story-villas in form of villa, duplex and townhouse. Services and facilities at Palm Garden Viet Hung: 17 hectare park, shopping mall, schools, kindergartens, tennis court, swimming pool, etc. 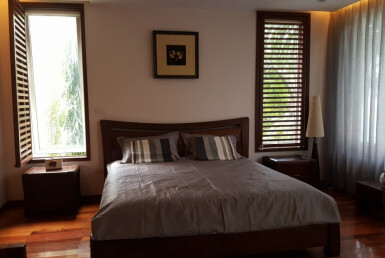 Palm Garden Viet Hung villas are suitable for businessmen and foreigners working in Hanoi.